A successful corporation should have a far vision, good things done should not solely be suspended between employees and clients. 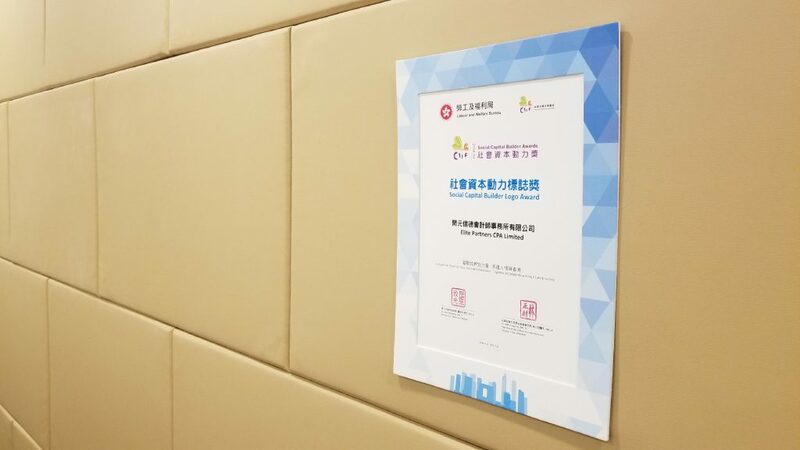 The “Social Capital Builder Award” is granted to Hong Kong corporations that bring together cross-sector power and at the same time can build a human touch. This year is the initial year that Elite Partners received this award, it is a great honor indeed. 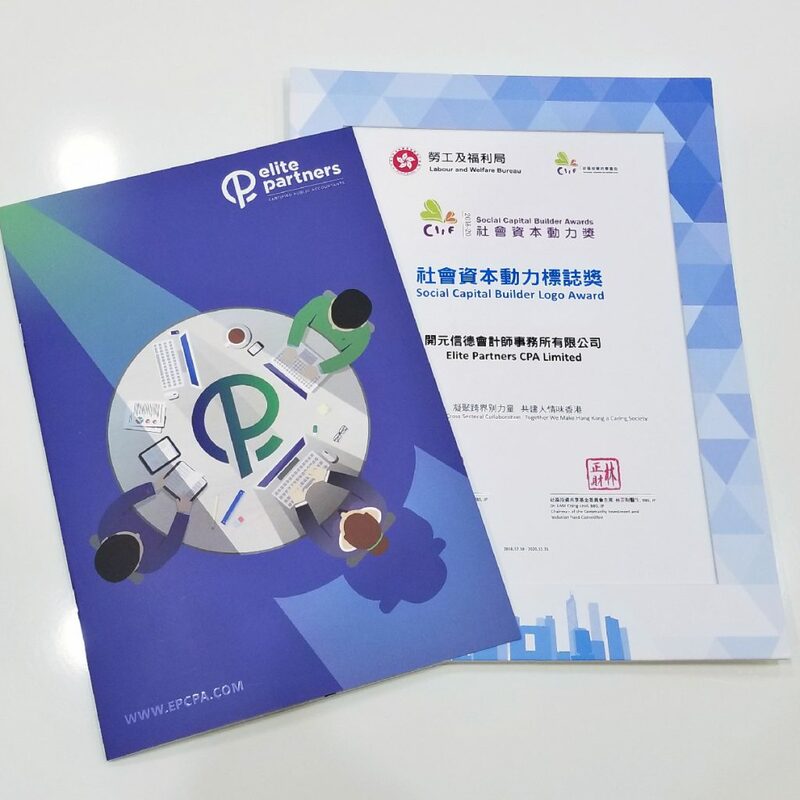 At the same time, it is the motivation for us to continue to contribute to the society and development for the future of the industry, let’s strive together for the society! Social capital is essential for the economic prosperity and sustainabledevelopment of a society. It helps build a caring society of mutual trust andsolidarity, and enhances mutual support among individuals, families andorganisations so that our community can grow from strengthen to strength. To accord recognition to individuals, corporates/organisations who havecontributed to the development of social capital in Hong Kong, the CommunityInvestment and Inclusion Fund (CIIF) of the Labour and Welfare Bureau hasorganised the biennial SCB Awards since 2012. 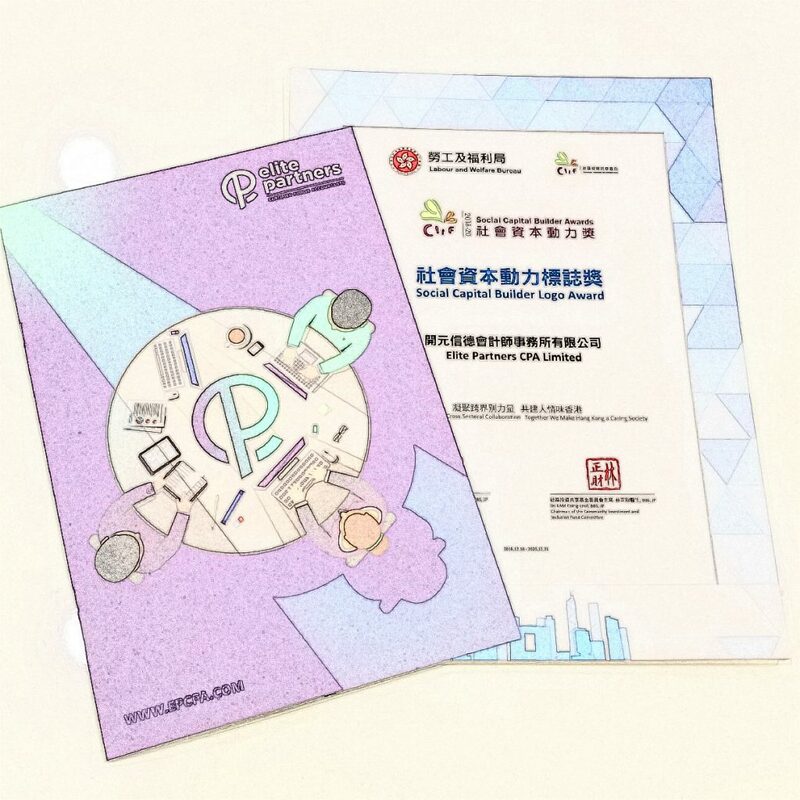 The Awards provide an opportunityfor various sectors of the community to witness and share the achievements inbuilding social capital in Hong Kong. To encourage individuals and corporates/organisations tofulfill social responsibility by promoting social capital. To recognise individuals and corporates/organisations whohave contributed to the development of social capital in Hong Kong. To facilitate cross-sectoral collaboration and participationin building social capital in Hong Kong.